Jay Goth is a business veteran, having worked in a variety of industries including hospitality, energy, real estate, insurance and technology. He is a series 79 licensed investment banker and has extensive business relationships with key professionals from the legal, accounting, wealth management, insurance, business brokerage and finance industries. 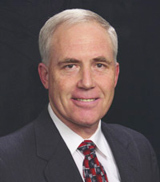 As a founding executive of Commonwealth Energy in 1997, Jay helped to define and write the company's initial business plan, raise over $60M in private capital, build a customer base of almost 100,000 prior to the electricity deregulation in California, and expand the company's operations into additional markets nationwide. The company became one of the largest unregulated retail electricity providers in the country, with third year revenues approaching $200M. In 2004 the company registered its shares with the SEC and went directly to the AMEX. Since 2001, Jay has been consulting with businesses regarding corporate structure, capital formation, marketing, communications, sales, operations and finance. Jay is a senior consultant with TriTech SBDC, where he assists startups and early stage companies with their business plans, operations, funding plans and investor presentations. He works closely with the economic development agencies in the South West Riverside County area to foster entrepreneurialism and business activity. A graduate of the University of Colorado, Mr. Goth received a B.A. with a double major in English literature and Economics. He currently holds Series 79 and 63 securities licenses (Investment Banking) and he has also held several other professional licenses, including Series 6, Series 3, Real Estate, and Insurance (Life and Health). His hobbies are fly fishing, golf and downhill skiing, but his true passion is helping businesses grow and build value. He also avidly supports his wife's vocation of riding performance thoroughbred horses and show jumping.